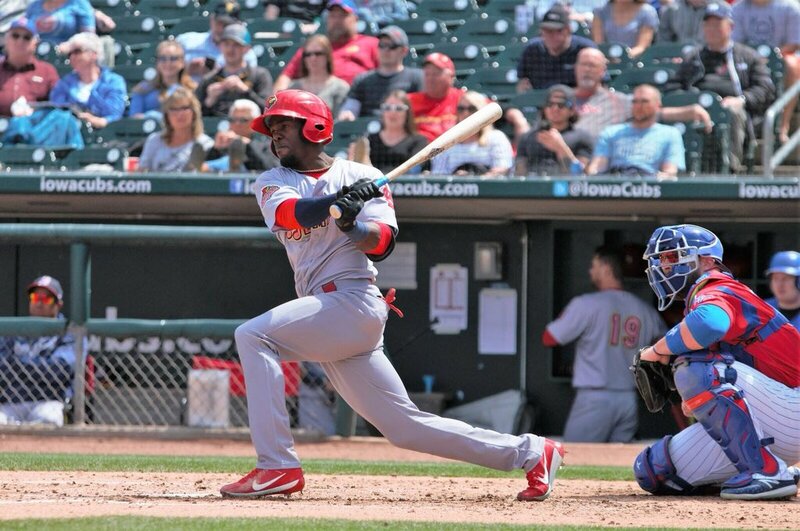 MEMPHIS, Tennessee – Memphis Redbirds outfielder Adolis Garcia and Redbirds pitcher Daniel Poncedeleon have been named the Cardinals Minor League Player and Pitcher of the Month for July, the franchise announced Saturday. Garcia, who was also named the Pacific Coast League Player of the Week for the week of July 23-29, was a force at the plate in July. In 25 games, Garcia hit .354 (34-for-96), hitting eight doubles, one triple, and 10 home runs, while driving in 25 runs, and scoring 21 times. He posted a .374 on-base percentage, a .771 slugging percentage, and an OPS 1.145. On July 26, Garcia became the seventh player in Redbirds history to hit three home runs in a game, and the second this season. In that game, he also tied the franchise record with eight RBI. He was also the first Memphis player to hit a grand slam in a three home run performance. Poncedeleon, who earned Pacific Coast League Player of the Week honors for the week of July 9-15, was nearly unhittable for the Redbirds in July. In three July starts, he went 3-0, combining to throw 20.0 innings, allowing just five hits and two unearned runs, while striking out 20 total batters. On July 15, Poncedeleon turned in the finest start of his career, throwing a complete game, one-hit shutout to beat Omaha. The performance was the 11th one-hitter thrown in Redbirds history, and the 17th complete game shutout. After the performance, Poncedeleon was recalled to St. Louis for the second time this season, and made his Major League debut. In his debut, he threw seven no-hit innings before being pulled for a pinch-hitter. Earlier this season, Austin Gomber was named the Cardinals Minor League Pitcher of the Month for April, while Dakota Hudson and Rangel Ravelo were named the Cardinals Minor League Pitcher and Player of the Month for June. The Redbirds’ seven-game homestand continues tonight at 6:35 p.m. with the opener of the four-game set with Fresno. For more information on single-game tickets, visit www.memphisredbirds.com. Champions! Memphis Clinched Their Division, Headed To Playoffs!